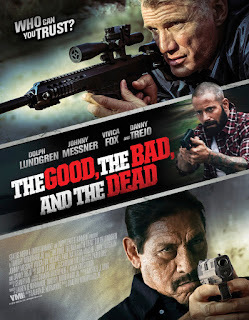 Brian Barnes (Johnny Messner) wakes up in the desert wounded and with no memory and no idea why he’s surrounded by eight bodies, a van with four million in cash and a van full of cocaine. Brian is pursued by not only notorious drug lord Danny Perez (Danny Trejo) who desperately want his money back, and DEA Agent Rooker (Dolph Lundgren), but also a by the corrupt Sheriff Olson (Michael Pare) who will stop at nothing to get his hand on the new found fortune. On the run, Brian discovers the more he remembers the less he wants to know about who he really is.